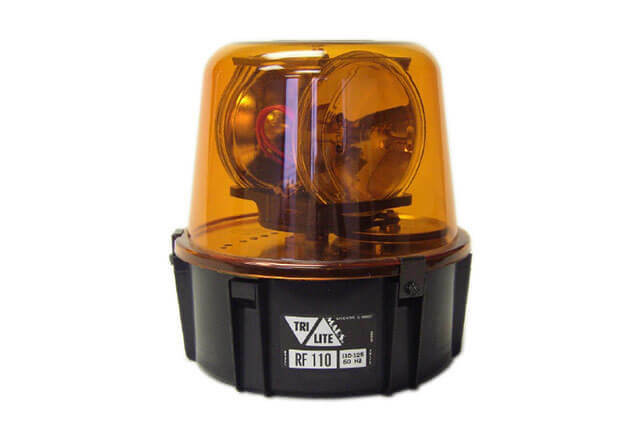 The RF6 is a full sized, Rotating Beacon Light featuring twin sealed 35,000 candle power lamps. Utilizes a belt drive for quiet reliability and simplified maintenance. Excellent for indoor or outdoor signaling, safety, or warning applications. Dome colors available: Amber, Blue, Clear, Green, or Red. 4.7 amps at 12 VDC. 9 1/2" high, 8 1/2" diameter, Shipping Weight, 6 lbs.